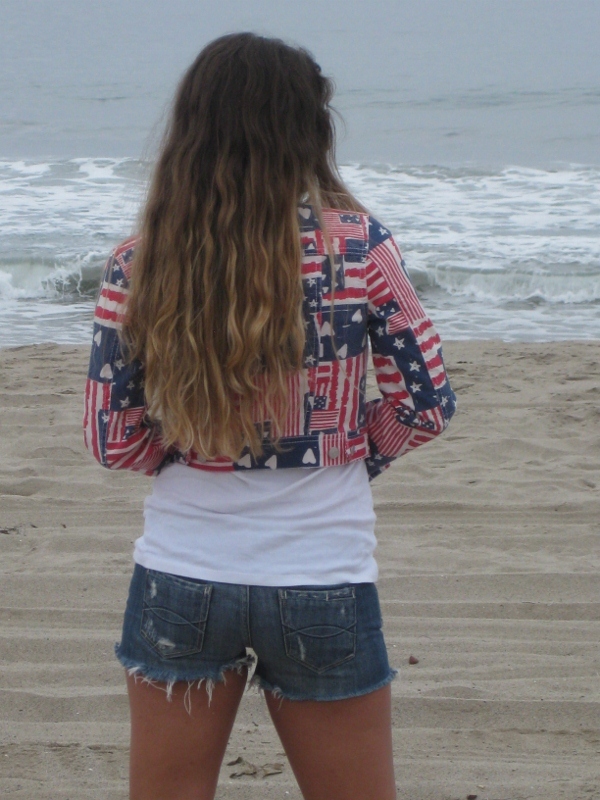 Bedazzles After Dark: Outfit Post: Born in The U.S.A.
Outfit Post: Born in The U.S.A. The 4th of July fashion piece for Societe Perrier came out yesterday and I'm so excited that I was picked to participate. This is my 3rd look and the final one that they chose to include. I've never really owned anything with an American Flag print so I just had to scoop up this cropped denim jacket from H&M. Best part - it was $25 bucks! I figured there's nothing more "All American" than a white tee and cutoff shorts. Red lips & black sunglasses complete my easy peasy 4th of July look. Cute look! I really like your jacket!